While I was sitting here looking out my window on this cold winter day with a temperature of – 22 degrees Celsius and pondering what I should use for blog topics and ideas, I am all of a sudden compelled (more like Divinely pushed) to talk about my journey through mental health and depression. Something whispers in my ear saying that sharing my story will help people feel less alone and may help someone. I am not quiet sure where to begin and how to tell the story best but I have an idea that I wanted to run by everyone before I set out with my action plan and outline for project. I always feel it best to share my ideas and brainstorm with others to help get a collective opinion about projects, since my audience opinions are what is the best feedback for completed plans. I hold everyone’s opinion and feedback to the highest regard since often I am told that I am my own worst critic. My objective for my idea is simply just to express in my own words the struggle of depression, describe and share what the darkest days felt like and how I survived and came out stronger. My hopes are simply that I can help someone suffering feel less alone and more understood, as well as help remove the stigma associated with mental health issues. I will begin by saying that I had been searching and brainstorming for ideas for the last month or so, especially after I survived the latest rock bottom of depression (one which was worst than the others) and came back a bit stronger and having a new found connection to God and the Divine. I know in my heart, that I would not have made it through the last attack of depression alone without having Him carry me along and keep me safe while I struggled to climb my way back onto solid ground. I also must express how truly strong, amazing and loving my family was during these episodes and struggles as they were also a huge source of support for me. I guess that I have left you all pondering what the idea is and left you in suspense long enough. The idea that spoke to me with the greatest intensity was to use the medium of a diary. I had kept a diary when I first got diagnosed and have been writing in one throughout the last couple of years. I was thinking of either creating a new blog just specifically for that purpose or adding it to this blog. So here is the question that I pose to you, my audience to ponder: “Should I Devote A New Blog to It?” or “add to this blog?” and what do you think of my idea. Please feel free to comment and leave feedback. Hi, everyone I am sorry for the absence and not keeping my blog up to date. I have had a brief health crisis and needed to recover, plus the demon of depression has revisited me and I hit hard and fast and it was a struggle and a journey. I am getting much better and every day I am growing stronger and healthier and I have released all negativity and negative aspects into my life. I have been inspired to re-connect with God and my faith and have started attending church, joined Catholic Woman’s League and to start volunteering at different organizations. 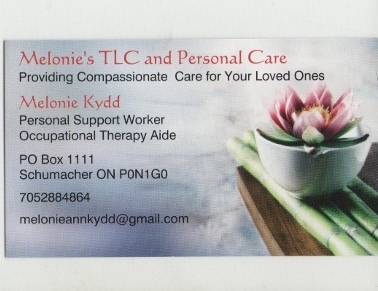 I am also working on trying to expand my business and clientele list as well as find other employment part time. I had actually lost my password and I finally figured out the password after many attempts. Memo to self: write it down LOL!! One of my goals for this new year is (1) READ 150 BOOKS – I am at 5 so far..